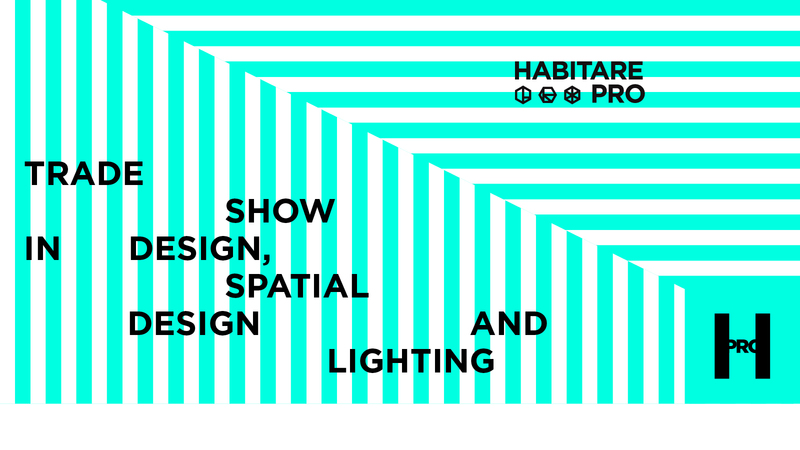 Part of Habitare, Habitare Pro is an event for architecture, design, spatial design, and lighting professionals that presents the latest in public space furnishing, contract furnishing and construction. Habitare Pro is all about interesting exhibitor companies and a programme of international speakers, with four different themes. Habitare Pro will be held at Messukeskus in Helsinki from 12 to 14 September 2018. Admission to the event is free for professionals, but registration is required. The exhibition design will be by the interior architecture professionals at JKMM Architects, together with the Lighting Design Collective. For the visitor, Habitare Pro will offer a spatial experience that appeals to all the senses, as visitors are guided from one stand to the next by large surfaces of translucent fabric, moving images, stark contrasts, and areas clearly marked off by light. The cooperation partners for the exhibition design are PixMill, Audico Systems, Novo Wood, Arktis and Kvadrat. The featured companies represent various aspects of contract furnishing, ranging from furniture to services. The featured furniture companies include Modeo, one of the largest office and design furniture importers and the exclusive representative of Yrjö Kukkapuro’s designs; Lepo Production, a holder of the Key Flag Symbol of Finnish origin; EFG European Furniture Group, one of Europe’s largest companies providing furnishings for offices and public spaces; Piiroinen, a Finnish family company, known for its public space furniture and top-quality metal coatings; and the design companies Arktis, myKolme and Woods Helsinki, known for their versatile use of wood. The event will also feature companies specialising in restaurant furnishing, including, for example, E. Ahlström, providing end-to-end solutions for restaurant interiors. The featured companies specialising in surface materials, textiles, and panels include Nevo Borg by Nevotex, Scandinavia’s largest wholesaler of fabrics, leather and upholstery materials; Novo Wood, an importer of wood-based panels and hardwood; PixMill, known for large-format prints, interior fabrics and light-box displays; Wanted Interior, a manufacturer that uses natural materials to create tufted carpets and curtains; and Travico, an importer of high-quality textile carpets, tiles and flocked floor coverings. Lighting solutions will be presented by Light Cognitive and interior decorating with plants by Vihersisustus Luwasa. The keynote speaker on Habitare Pro’s 2018 theme of Origin, focusing on brand identity, will be the designer Petra Lundblad from the Swedish company Bolon. The keynote speakers on the theme of Reflection, exploring our relationship with nature and our cultural heritage, will be Bolle Tham and Martin Videgård from the Swedish architects’ office Tham & Videgård Arkitekter, and the renowned British garden designer Noel Kingsbury. The keynote speaker on the theme of Illusion, discussing the importance of light in spatial design, will be the German curator Bettina Pelz, who specialises in lighting. The programme related to the theme of Heritage, focusing on the preservation of traditions and traditional construction, is produced by Hesa-SAFA and Rakennusperintö-SAFA (the Helsinki region and built heritage subdivisions of the Finnish Association of Architects SAFA). Every day, the programme will feature top Finnish architects and designers discussing the projects they are currently working on and their views on the theme of Roots. The speakers will include the architects Minna Lukander and Martti Lukander; the architect and professor Rainer Mahlamäki; the architect Anssi Lassila; the lighting designer Tapio Rosenius; and the spatial designer Heini Lehtinen.